A cyclist rides on Commonwealth Avenuej on Wednesday. When it comes to road design for safer streets, the cost-benefit analyses that drive policy decisions are badly broken. As representatives of Boston and Cambridge, we are calling on all state and city officials to prioritize making our regional transportation network safe for everyone. Last week’s fatal crash on O’Brien Highway that claimed the life of 24-year-old Meng Jin reinforced the worst fears of cyclists and pedestrians across the region navigating streets designed for cars rather than for people. Meng, a Cambridge resident and Boston University graduate student, was on his bike when a driver of a dump truck crushed him while making a right turn. Two state agencies had committed to adding bike lanes on this dangerous stretch of roadway last summer, but the changes stalled due to concerns about inconveniencing drivers. Such broken promises underscore the unconscionable cost of inaction in the face of community calls for safety interventions. As leaders in government and advocacy, we call not only for immediate action to remedy this and other regional corridors, but an end to the immoral pattern of waiting for tragedy to push us to action. Mass. 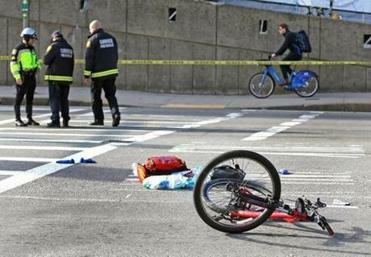 Ave. and Beacon Street in Boston was a known high-crash intersection, yet changes were not made until Dr. Anita Kurman was hit on her bicycle by someone driving a truck. Days after her death, a protected intersection was installed. Inman Square, linking Cambridge and Somerville, was notoriously dangerous for all road users, but a long-discussed redesign only took on urgency after Amanda Phillips was killed on her bike. Following two fatalities in Porter Square (cyclist Joe Lavins and pedestrian Marcie Mitler), the intersection — a major transit and retail hub for both Cambridge and Somerville residents — is finally getting some interim safety improvements, but a complete redesign remains on the drawing board. 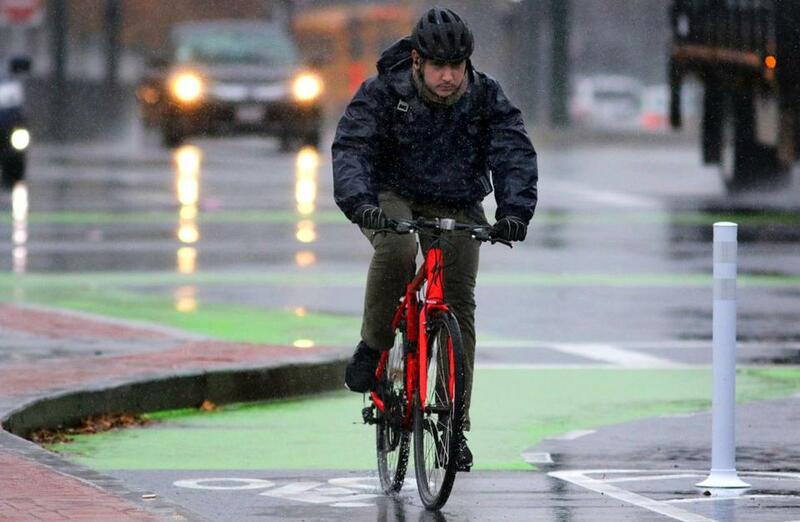 Days after cyclist Eoin McGrory was killed by someone driving a truck in the approach to Sullivan Square, painted bike lanes were added to the horrific rotary connecting Boston, Everett, and Somerville, but real long-term changes are still being debated. The list goes on. Next up for a redesign is River Street, connecting Boston’s Storrow Drive and I-90 and Cambridge’s Central Square, where community members are again advocating for safer infrastructure before a fatality occurs. This is an issue not just on streets bearing regional traffic, but throughout each of our neighborhoods. Earlier this year, the heartbreaking loss of 2-year-old Colin McGrath galvanized a process to slow traffic on known speedways in South Boston. The same week that Meng Jin was killed, a pedestrian in West Roxbury was killed and another was seriously injured in Roxbury. These fatalities and the thousands of serious injuries sustained on our city streets each year represent a growing public health epidemic, and they are entirely preventable. In addition to traffic calming and other infrastructure safety improvements for pedestrians and cyclists, we need to see faster action on policy changes as well. Beacon Hill should act on pending statewide legislation to ban cell phone use for drivers, to require truck side guards and mirrors to eliminate blind spots, and to reduce speed limits. At the most urgent level, we need to prioritize lives over convenience. But the benefits extend far beyond safety. Our economy and planet depend on creating transportation options that are affordable, reliable and sustainable. Because inequities in transportation access mirror economic and racial segregation across the region, opening up safe, affordable alternatives to driving is fundamental to creating equitable access to jobs. In addition, reducing the carbon footprint of our transportation sector is essential to meeting our greenhouse gas emission goals, and encouraging walking, biking and transit use will be critical for this healthier, greener future. Facing up to the region’s transportation challenges and seizing opportunities for long overdue improvements is the best path forward toward greater economic mobility, social equity, and environmental sustainability. What are we waiting for? Michelle Wu is a Boston city councilor. Jan Devereux is vice mayor of Cambridge. Becca Wolfson is executive director of the Boston Cyclists Union.